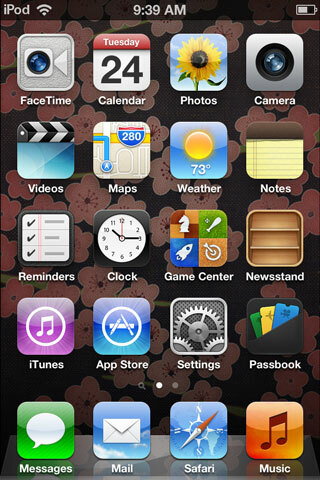 This occurs when you are moving or deleting an email on your iPhone. 1. Press the Home button and select Settings. 4. Scroll to the bottom and tap Advanced. 5. Scroll to the bottom and tap the empty IMAP Path Prefix. 6. Enter INBOX in capital letters. 7. 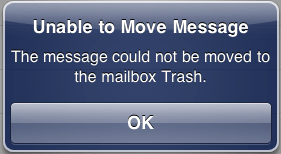 Press the Home button and then re-open Mail. 8. You will now be able to delete and move your emails on your iPhone successfully. Follow steps 1 - 4. 5. Next, tap Deleted Mailbox. 7. Next, tap the Advanced tab in the upper left corner. 8. Then tap the Account tab in the upper left corner. 9. Click Done in the upper right corner. This final step is important because it saves your changes. You will now be able to delete and move your emails on your iPhone successfully.